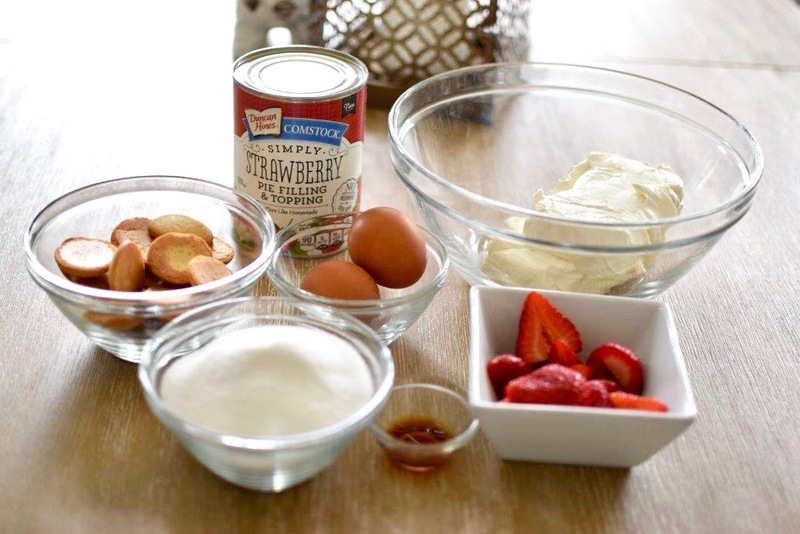 I wanted to share a quick and simple dessert recipe with you today. Full disclosure – this isn’t a recipe I tested and made up myself, I saw a similar recipe years and years ago that Paula Deen made and I had to riff off of it a bit. 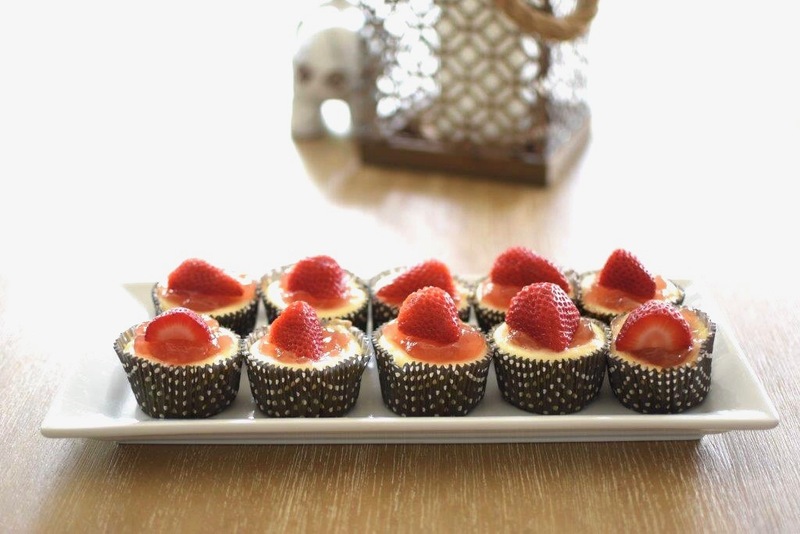 I think she called these little beauties “tarts” – but every time I’ve made them, everyone says they taste just like little cheesecakes, so I’ve now deemed them mini cheesecakes! This recipe is super simple and really doesn’t take much time at all. 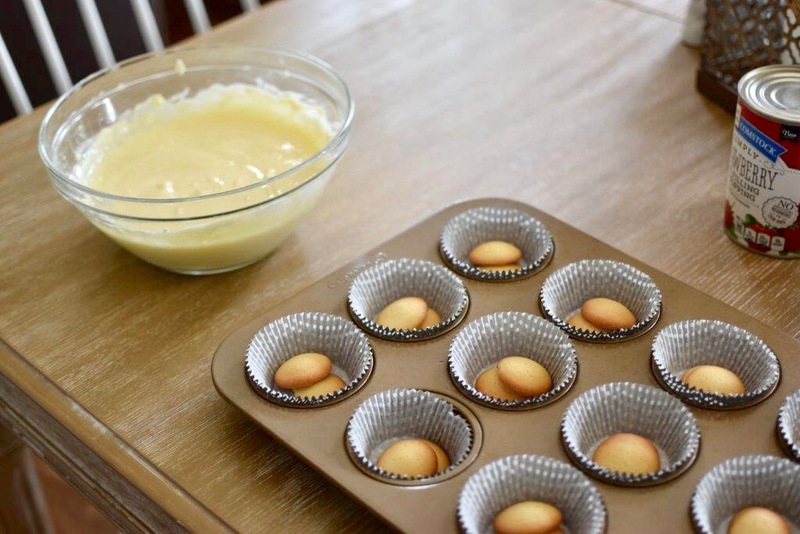 I’m not a huge fan of baking – I guess the ole adage is true, if you like to cook, you don’t usually love to bake and if you love to bake, you don’t usually like to cook. But this is such an easy and delicious recipe, it’s a great go-to to have in your arsenal. Note that if you don’t like strawberries, you can sub out raspberries, blueberries, even chocolate. 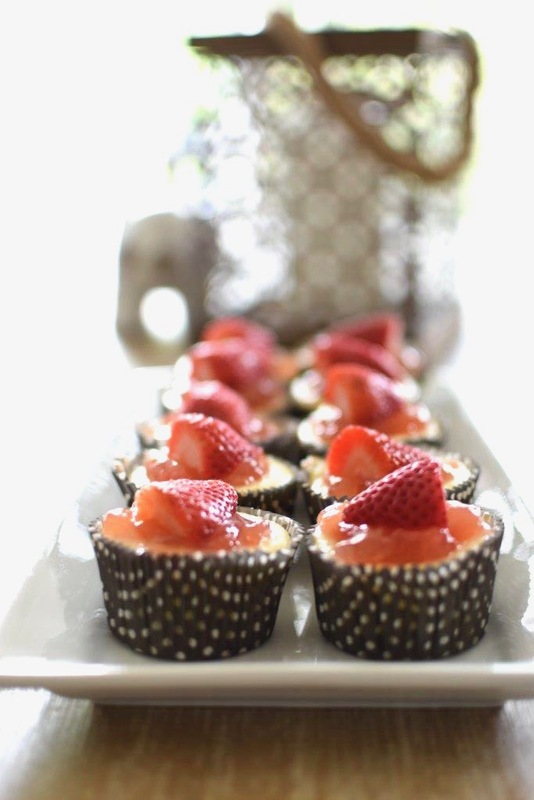 This is a really good base recipe to make your own little delicacy with. Find the recipe below. 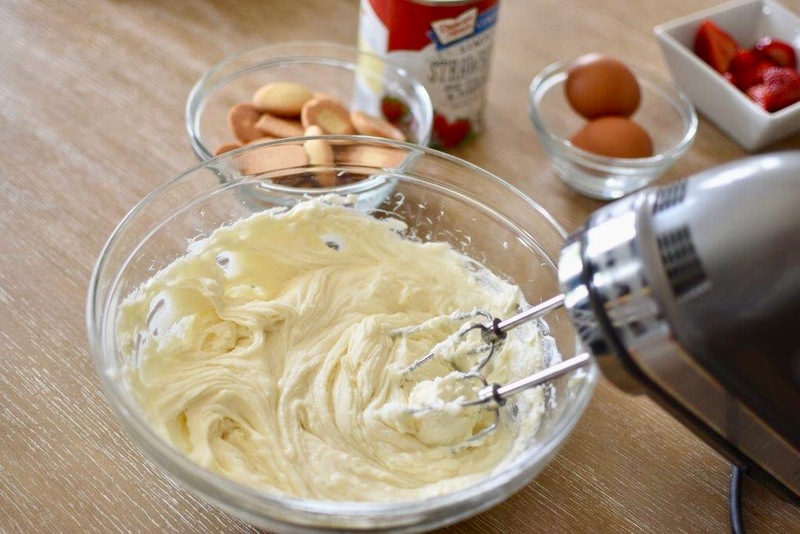 Take the two bricks of softened cream cheese and mix together with your mixer. Add in the 2 eggs, one at a time and blend together. Add the sugar and vanilla and mix until well combined and nice and fluffy. 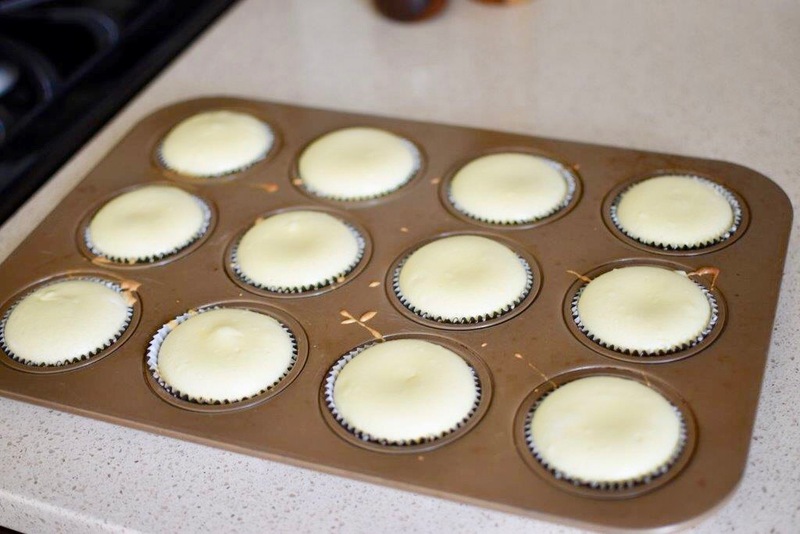 Line your muffin tin with cupcake liners. Put two vanilla wafers at the bottom of each liner, flat side down. Top with the mixture and bake for 20 minutes. Let cool (very important) completely before topping. 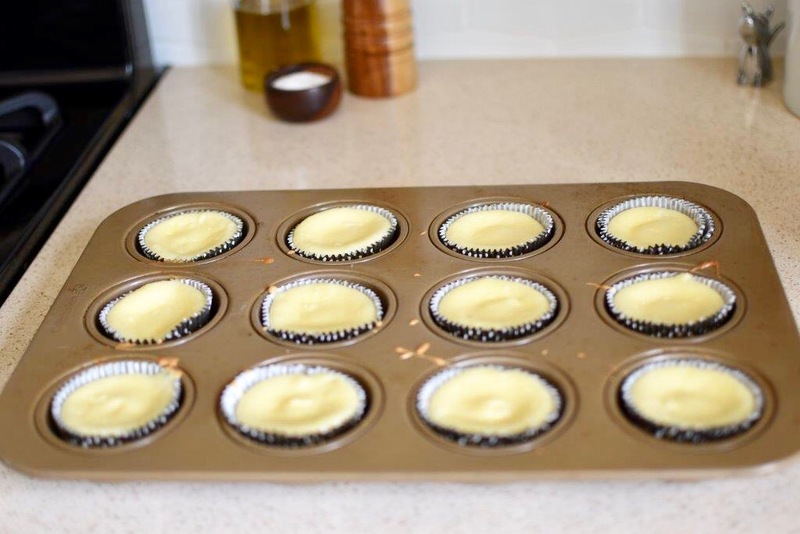 This usually takes about 30 minutes and they will look like they’ve sunken down a little bit. Top with the fruit preserves and the fresh fruit, and voila! 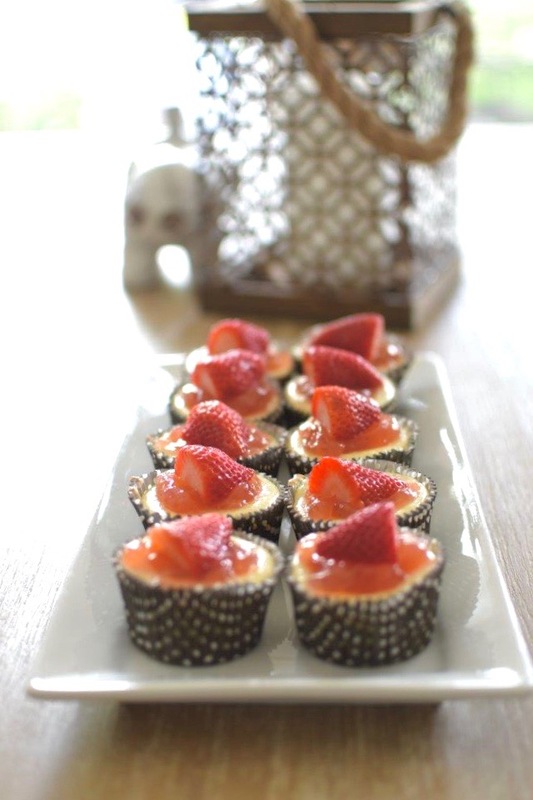 You have beautiful and delicious little mini cheesecakes, perfect for entertaining or just a great dessert! See pics below! 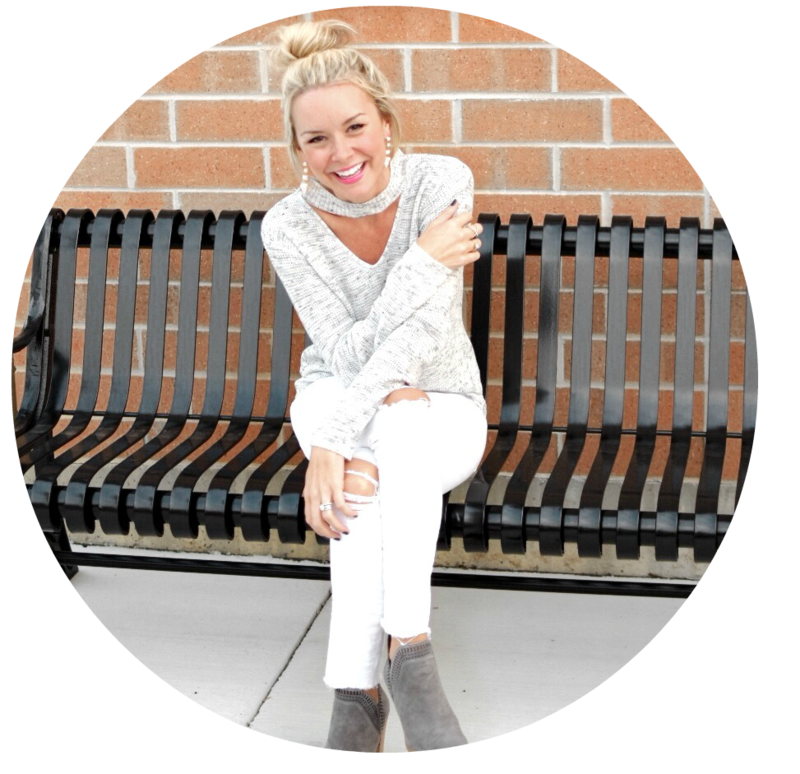 Next Post NORDSTROM ANNIVERSARY SALE Top Picks!